In nature, roots go where the living is good. They search for water and nutrients in the soil and don’t stop until they find them. Because houseplants are restricted to pots, their roots can spread only so far. In order to support plant’s root systems, it’s necessary to repot to a larger container from time to time. An easy way to tell whether a plant needs repotting is simply to tip it upside down (while cradling the plant in your hand) and tap it gently out of its pot—if a plant is large, this may take a team of people to accomplish. If the bottom half of the container contains mostly roots and very little soil, it’s time to repot. The reason is simple: at this stage, the roots have penetrated nearly every pore space in the soil, leaving little room for air or water. 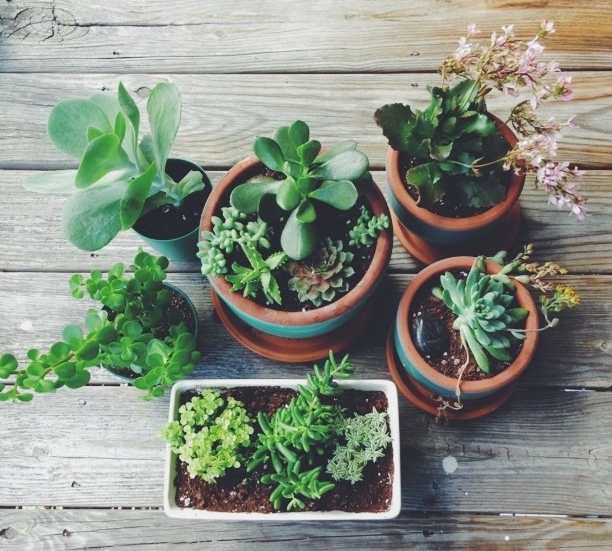 By repotting the plant, you’re giving it much-needed physical space and a fresh supply of soil and essential nutrients. Other signs that indicate it’s time to repot include exposed roots, yellowing leaves, slow growth or little new growth and top-heavy plants that tip over easily. to do is plan ahead and follow a few easy steps. A little preparation can save you a lot of cleanup. Moments after you’ve started removing the plant from its container is a bad time to realize you’ve forgotten to pick up potting mix, so make a list of everything you need to get the job done properly: potting mix, water, a bigger container, gloves and scissors. I tend to get soil everywhere, so for me a huge drop cloth is also essential. I also recommend using a beneficial fungus, available as a product called myke. It contains mycorise fungi that colonize on a plant’s roots, increasing phosphate uptake, which in turn stimulates root development (the fungi colonize on most plants, with the exception of members of the Crassula, Orchidaceae and Ericaceae families). 2. Water your plant the day before you plan to repot. Watering will soften the roots, leaving them pliable and easy to manipulate. Choose a practical container that is only one size larger than the one you are currently using. There are lots of decorative containers, but sometimes beauty and creativity must bow to functionality. One of our staff members found this out when he planted a collection of cacti in a strawberry pot. It was an impressive display and seemed like a great idea until it was time to repot. There was no way to get the plants out without breaking the container—and no way to break the container without damaging the cacti. Repotting can become quite an ordeal, so whenever possible, make the mess outside. If going outdoors isn’t possible, line a table or countertop with newspaper that can be rolled up and discarded when you’re done. Dishwashing basins also make great portable potting sinks. Getting started is sometimes the hardest part, so be confident and go for it! Put on gloves if you require them, and then tip the plant out of its container and into your hand. Gently tease tightly bound roots free to encourage them to explore the new potting soil. If the plant is very rootbound, use a gardening claw to loosen the rootball. When the roots have been gently loosened, use scissors to cut away any damage. Shake 3–4 cm of soil mix into the bottom of the new container. Gently insert the plant into the pot, ensuring that it sits at the same height as it was in the original pot. If necessary, remove the plant and add more soil. 8. Gently fill the pot around the plant with soil mix. Use hand movements that mimic those you would use to tuck a shirt into your pants. Be sure not to pack down the soil. If you do, you’ll end up with drainage problems. 9. Water the plant thoroughly. Don’t stop until water flows out from the holes in the bottom of the container. Not sure you're up for the task? Hole's Greenhouses provides FREE houseplant makeovers with the purchase of any Scheurich pot. Our experts are here to help. Click here for more information.